Ever since I saw someone post a picture of this place on Instagram, I wanted to go so badly. Instead of going right there and then, I kind of waited and went 6 months later. Usually, most exhibitions move from one location to the next; so I was hoping that it will travel down to Los Angeles. However, I decided to visit a friend in the San Francisco area and ended up going to this gallery. 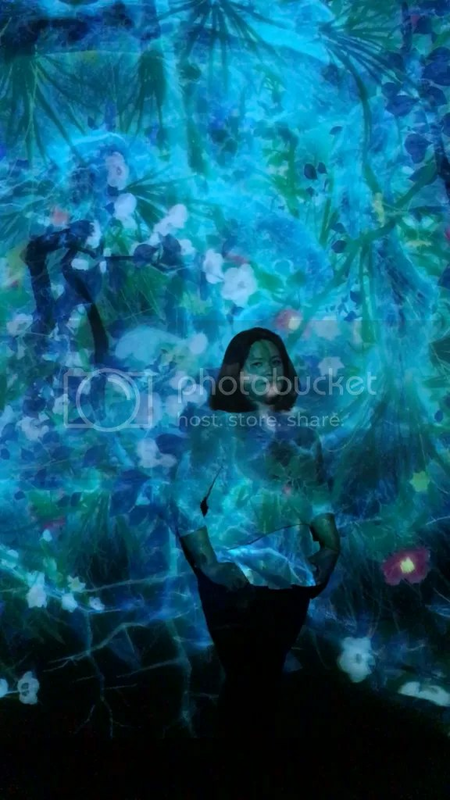 teamLab is a “group of ultra-technologists whose collaborative practice seeks to navigate the confluence of art, technology, design and the natural world.” The reason why I was interested in this gallery is because teamLab creates immersive environments in which you can be part of the art. Plus, it looks SO PRETTY. In this gallery, there are about 20 digital works all of which are immersive if you are close enough. There are actual instructions in one part of the gallery that gives you a description of how to immerse yourself into the art. Some digital works, however, is self-explanatory. This gallery is pretty small for $20 (so technically $1 per view). Do I think it’s worth it? 75% Yes and 25% No. If you like pretty things, and you like these kinds of art, then yes. However, for $20 it’s pretty steep. I took as many pictures as I could and spent about 2 and 1/2 hours at the gallery but if I didn’t take that many pictures, then I don’t think it would’ve been worth it. It’s even a trek down from San Francisco (approx. a 45 minute drive and another 45 minute back). Plus, I went on a Saturday, so at one point, there was a lot of people at one exhibition. My favorite piece is the Crystal Universe. 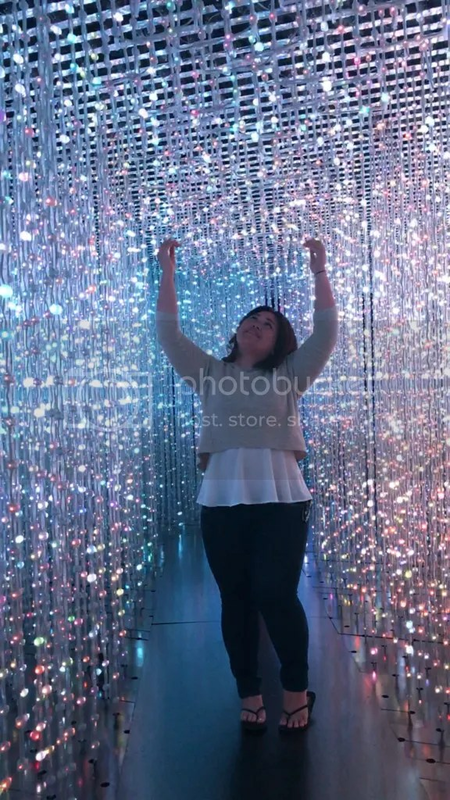 If you’ve been to the Infinity Room at the Broad, then it’s something like that except 10x better. In this room you have as much time as you want! You walk into this interactive light installation in which the lights are digitally controlled by movements. They can also be controlled by the viewer. The viewer can control the lights through a website which can be accessed through your phone or the iPad in the back of the room. Through this website, you can choose how the lights will illuminate; i.e. in all white, rainbow, etc. It was fun while it lasted because this piece is so popular that it’s a bit difficult to get this room all to yourself. This exhibition runs from February 6, 2016 through December 18, 2016 at the PACE Art + Technology at 300 El Camino Real, Menlo Park, CA 94025. They are open on Tuesday to Sunday from 11:00 am to 7:00 pm. There is free parking at the gallery. 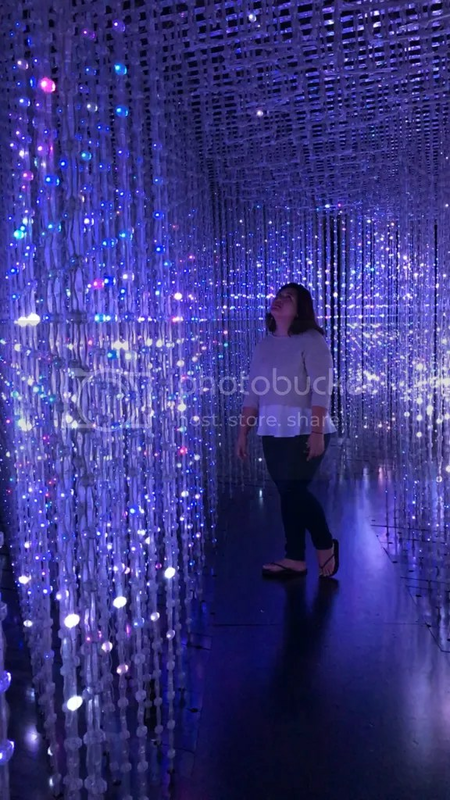 This entry was posted in Events, Northern California, San Mateo and tagged PACE Art + Technology, Palo Alto, San Francisco, San Mateo County, teamLab. Bookmark the permalink. There is getting to be convergence in art with technology and design. Not sure how it will converge with the natural world. For us, somehow its not too appealing if nature has been tampered with. We like it untouched.